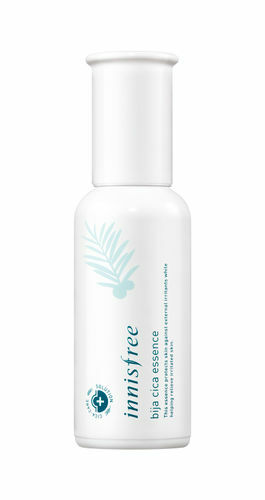 The Bija Cica Essence by Innisfree is a daily Cica essence that is effective in soothing various skin concerns. This daily cica item for all skin types is gently applied as moisture bursts out on the skin's surface and is absorbed into the skin, leaving a downy finish. With bija oil providing excellent skin protection and D-panthenol effective in reinforcing the skin barrier, this essence rebuilds the weakened skin barrier to make the skin healthier. Bija oil and D-panthenol for healthy-looking, firm skin!